Home / Gadgets / News / Redmi / Xiaomi / Xiaomi Redmi AirDots / Redmi Launches New AirDots Wireless Earbuds In China, Will Be Sold For $15! Redmi Launches New AirDots Wireless Earbuds In China, Will Be Sold For $15! Xiaomi has launched the Redmi AirDots wireless Bluetooth earbuds in China for a mere price of $15! 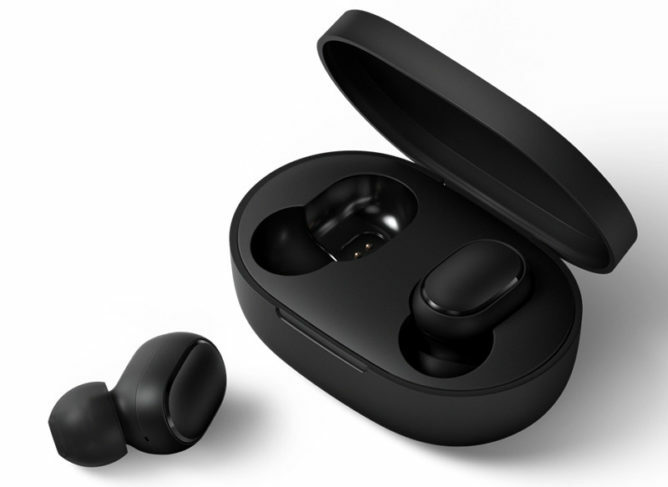 Some months ago, the Chinese smartphone manufacturer launched the Mi AirDots Youth Edition wireless Bluetooth earbuds alongside the Redmi Note 7 Pro. Now the company has introduced the AirDots wireless Bluetooth under the Redmi brand. The new Redmi AirDots supports Bluetooth 5.0, have Realtel TRL8763BFR chip that helps them connect to the smartphones when they are removed from the case. There's a touch sensitive button which can be used to control music playback as well as voice assistants such as Google Assistant and Siri. The Xiaomi earbuds comes with a 40mAh battery capacity, which Xiaomi claims can offer up to 4 hours of battery life on a single charge. Coupled with the charging case which has a 300mAh battery, the earbuds can last up to 12 hours. Charging time for the AirDots is around 1.5 hours, while the charging case takes around 2 hours for it to be fully charged. Other specs includes a built-in DSP with environment noise reduction and as well 7.2mm dynamic drivers. The Redmi AirtDots weighs just 4.1 grams and measures 26.65x16.4x21.6mm. They will come in only black colour and will be sold for CNY 99.9 (about $15).